One of my favorite things about reviewing products is when I find a product that is a real need in my life. 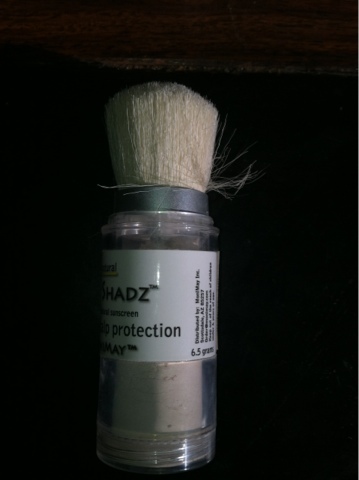 Sun Shadz is one of those products! 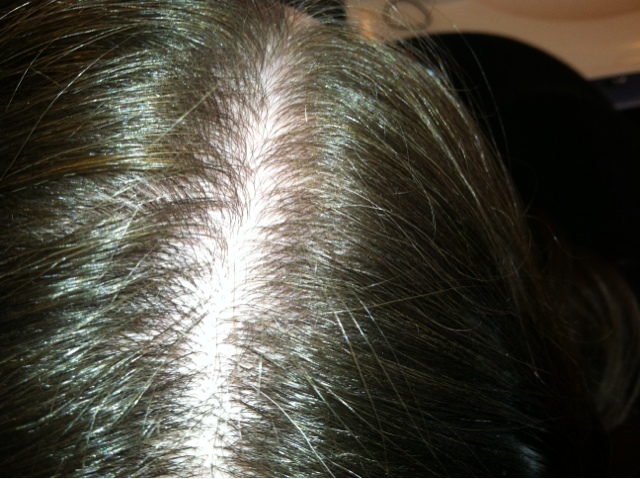 When I was 2 years old, I was in an accident and received burns on my scalp. They were fairly serious, and since that time I have to be extremely careful about going outside and in the sun. Any time I am in the sun, my scalp burns. The problem is, there are very few products that protect the scalp. I can apply lotion, but my hair is thin, and it ends up becoming extremely sticky and gooey in my hair. I can wear a hat if I do not plan on doing things like swimming and snorkeling . . . and I am left with a hat on EVERY time I go outside in the summer. 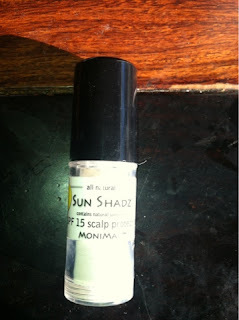 I have been using SunShadz, and really like it! It has a brush like applicator, that makes it super simple to apply. 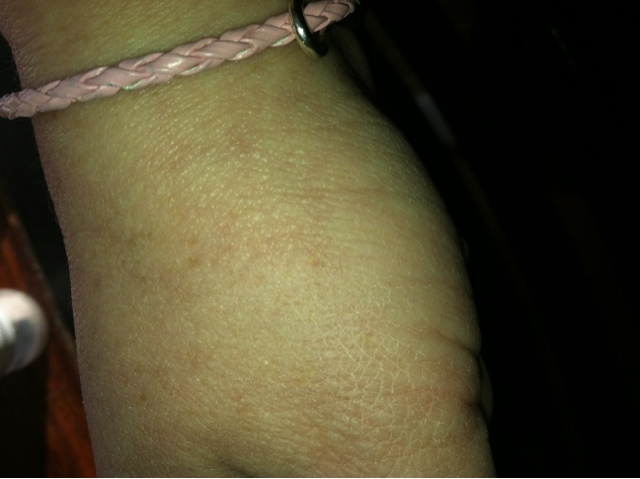 The product is actually a natural color, that does not show up much, as the swatch on my hand below shows. 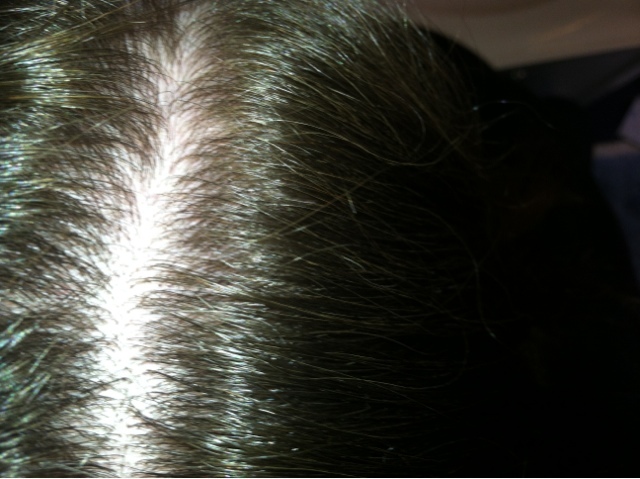 This is great, because as you can see from the before and after pictures, it does not leave a dusty residue on your scalp. You can barely tell that you have applied anything at all. I also love that you can get different colors (I tried out the clear), so that you can blend your hair roots in for longer space between hair dying! It really is a multi-purpose item! Because of the environment I live, I could not truly test it in bright sunlights, as the weather here is very cold and we do not spend long periods of time in the sun, but I look forward to testing it out more in the summer!